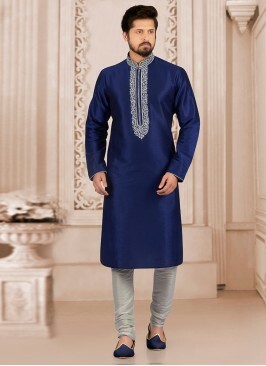 Look your ethnic best wearing this handsome golden dupion silk kurta payjama for men from the fashion house of Indian Attire. 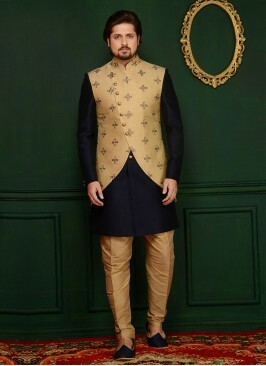 This regular-fit Kurta payjam set comprises a full-sleeved Sherwani and churidar to complete your look. Sky Blue And Rani Silk Ku..
Art Banarasi Silk Navy Bl..